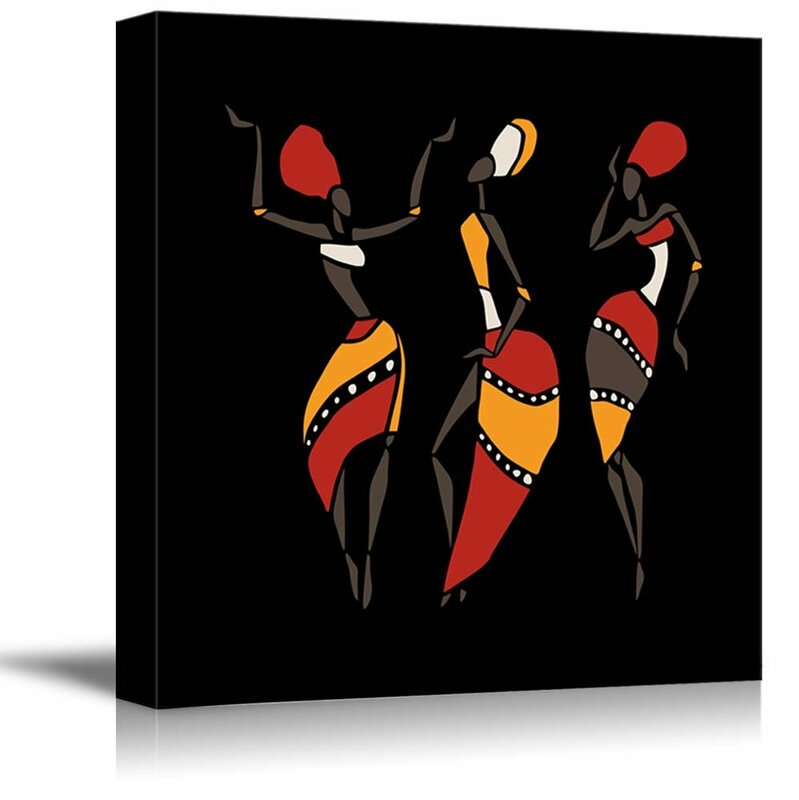 Canvas Prints Wall Art - African Dancers Silhouette Set on Black Background - 16" x 16"
What a nice painting this is, love it!! This is a beautiful piece the colors really pop,much nicer than I expected. Bright vibrant colors with a black back ground. 2'X2'. And it mounts on my wall perfectly. I have no complaints. None what so ever. This is a beautiful print. A little smaller than I thought it would be so I ordered another to match on two of my living room corners. Nothing more to say except...I love it !! !